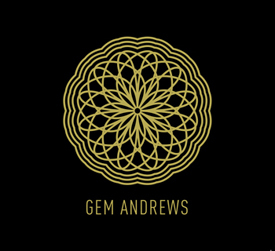 Opening with a delicate piece of Folk flavoured music called Calling; Gem sings about an idyllic childhood sound tracked by Neil Young, Townes Van Zandt and the like but the pain in her voice lets you know that there’s not going to be a happy ending. This theme of family weaves and threads its way through several songs with Mother Dear being especially brittle and beautiful at the same time as a daughter looks on as an old and sick woman lies ‘silent and sleeping; towards her grave’ and sung over a jaunty tune that sounds slightly eerie and is sure to tug on even the most calloused heart strings. When you listen to this album more than once; memories of a young Nanci Griffith will be resurrected and it comes as no surprise to hear Gem Andrews cover Heart Like a Wheel; but this stunning version will erase all memories of the original; especially because Martin Stephenson; who produces the album, provides understated harmonies that make the track very special indeed. A definite favourite is Crimson Tide which is both luscious and gorgeous; and her use of the blood rush we achieve while in the throes of passion is different and very clever. Every song here appeals to me in one way or another but Dead Weight which opens with the couplet ‘You tear through here like you own the place/this is a town that you wear on your face/the bruises from Saturday night darken your eyes’ and you know you are listening to something really, really special. The tale about a young man with no hope from birth could be about any teenager in any of our once proud industrial towns. Thirty minutes after we hear the first notes we hear the final track; Vancouver which is another broken hearted love song; but one with more than a little bit of hope attached and the perfect way to end an outstanding album.